Okay folks, I was going to write about Hershey Park. A great family destination in Pennsylvania. But I wanted to share another adventure from my recent trip to Greece. From Athens, there are many destination available. 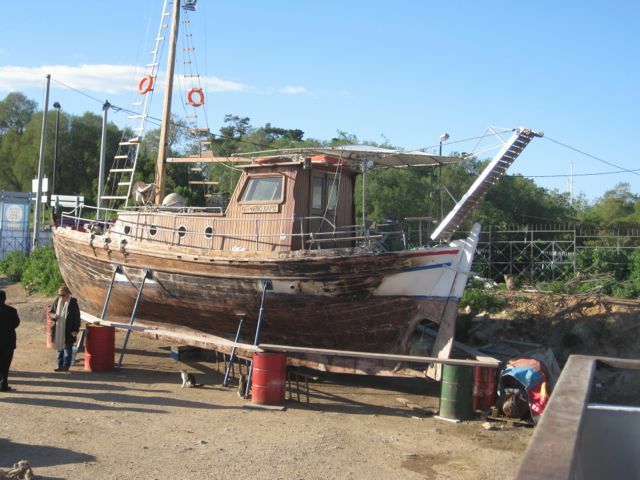 One of the methods for getting to one of the destinations is by boat. Sunshine and I took a one day cruise. We were required to be at the docks at 7 am. So when we arrived on the dock, a I saw the boat above, I was not sure if we made the right decision. It turns out this was not our ship. The one day cruise was scheduled for three port of calls. The rough weather and choppy seas forced us to skip the first port of call. 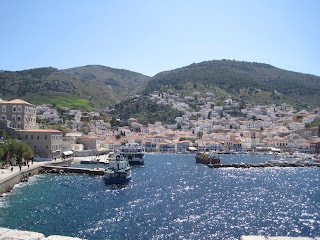 But then we arrived at Hydra. The island is small island with a port city. There are no vehicles, except rubbish trucks, allowed on the Island. 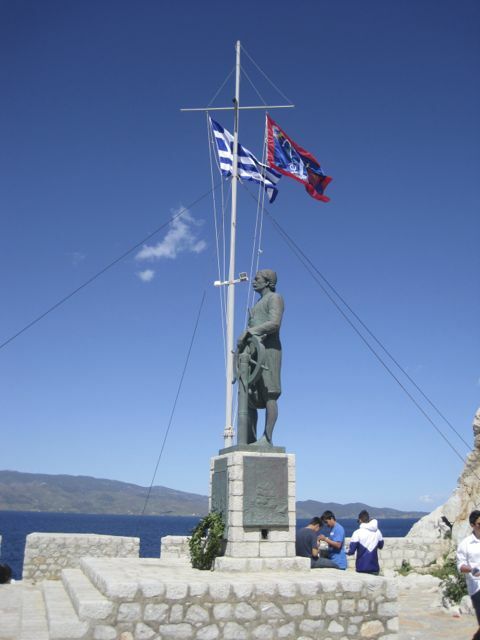 The island was instrumental during the Greek Independence. Well its fleet and sailor population was instrumental. Causing problems for the Ottomans through out the Aegean sea. During its high time, there were some 16,000 residents. Now there are about 6,000. The port shows this monument, the Greek Admiral Andreas Miaoulis, he guards the port now. During the War, he led the fire ships which inflected heavy damages on the Ottoman fleet. 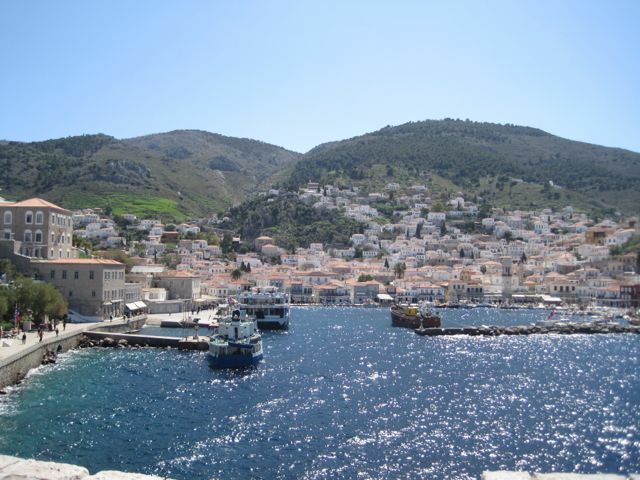 Now the island is supported by the tourist, mostly from the Athenians, and some Americans who visited Greece this year.